The issue: The media plays a well-documented role shaping public opinion and policy preferences. In a democracy, it is generally important that a government have public support before engaging in a foreign ground war. Today public support is again an issue in nations that are fighting to destroy the terrorist group known as the Islamic State (ISIS), including Canada. 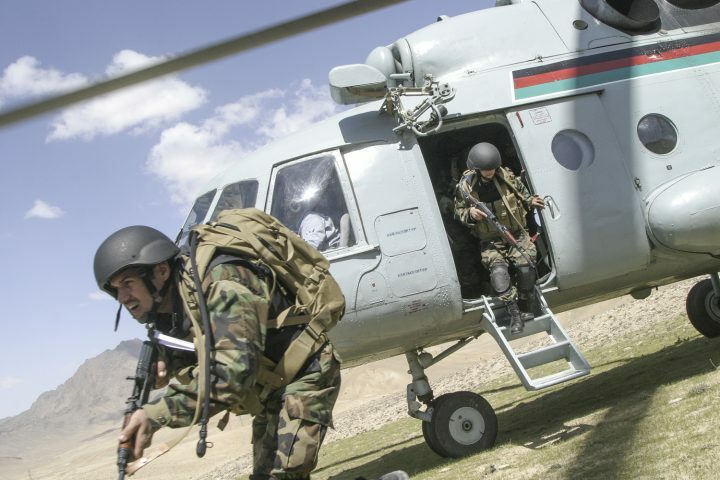 Canada has been involved in a number of recent conflicts, including the U.S.-led war in Afghanistan. At least 158 Canadian soldiers died in Afghanistan, according to government statistics, putting Canada’s per capita losses on par with America’s. An academic study worth reading: “The Impact of News Photos on Support for Military Action,” in Political Communication, October 2016. 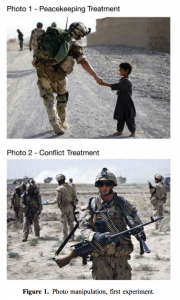 Study summary: Stuart Soroka of the University of Michigan and his colleagues design two experiments to test how different types of war photographs impact Canadians’ support for foreign interventions. “Peacekeeping photos” (those without weapons) are more likely to be associated with support for intervention. This is higher among those who consider themselves attentive to foreign affairs (rated on a binary scale). For more on the experiences of war photographers, see this special feature in The Guardian, where photographers discuss making the photographs that almost got them killed. Earlier studies have shown how the media can impact public attitudes about policy, and that how the media frames policy issues can shape the public’s preferences. Others have shown that a photo illustrating a news story about war can have a slight impact on public support for that war. Citation: Soroka, Stuart; et al. “The Impact of News Photos on Support for Military Action,” Political Communication, October 2016. doi: 10.1080/10584609.2015.1133745.